NANPA encourages responsible photography in the wild, and the Las Vegas area—home of the 2019 Nature Photography Summit—provides exciting opportunities to shoot. Here are some recommendations from our members in the area. 610 Spring Meadows Rd., Amargosa Valley, NV 89020. You’ll find: birds, flowers/plants, landscapes, water, wildlife including pupfish and 27 endemic species, and wetlands. Best time to shoot is in the morning. This has the largest remaining oasis in the Mojave Desert. Just about 9 miles from the Summit hotel is a great urban wetlands park where you can walk through the cottonwood trees to a number of streams and ponds to photograph a variety of bird species including great blue herons and egrets. You may even spot a beaver or two! The park’s 210-acre Nature Preserve has miles of paved and unpaved trails for your photography adventure. The park is open from dawn to dusk daily. More information: http://www.clarkcountynv.gov/parks/Pages/WetlandsPark/wp-nature-preserve.aspx. The hottest, driest, and lowest national park, Death Valley is a land of extremes. Despite its morbid name, a great diversity of life survives in Death Valley. The majority of the park’s avifauna can be found at the low mountain springs and desert oases in February. 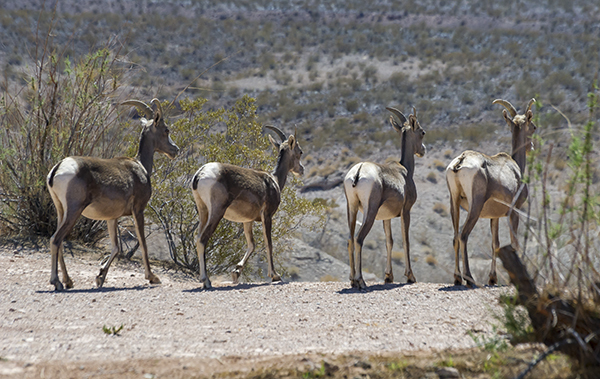 Furnace Creek Ranch, with its diversity of habitats, is definitely a hot spot. Springs that occur at up to about 4,000 feet elevation are fairly popular wintering habitats as well. 2-hour drive from Vegas. Lake Tahoe is approximately 7 hours from Las Vegas in northern Nevada. Zion and other parts of Utah are in close proximity. Grand Canyon in Arizona is a 4-hour drive from Las Vegas.